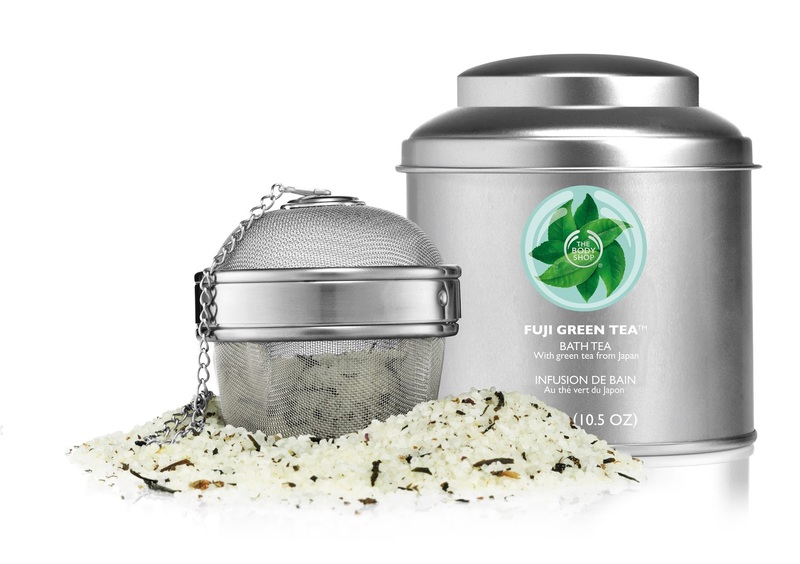 The Fuji Green Tea Bath Tea (500g/£12) is designed to be used with the Fuji Green Tea Bath Infuser (£5 - sold separately) to create a cleansing and detoxifying bathtime experience. 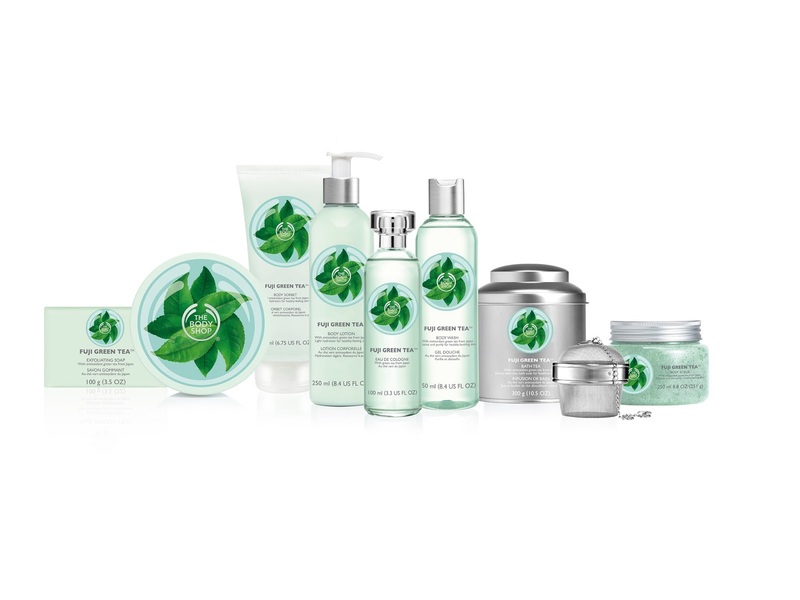 It is described by The Body Shop as being the "perfect to soak away the stresses of the day while helping your skin." In addition to the Green Tea Bath and Infuser, The Body Shop are releasing complimentary bath/shower products, including the Fuji Green Tea Exfoliating Soap (100g/£4), Fuji Green Tea Body Scrub (250ml/£14) and the Fuji Green Tea Body Wash (250ml/£4). Of course the benefits aren't limited to just the bath - The Body Shop are also releasing three different types of moisturiser as part of the range, too: the Fuji Green Tea Body Lotion (250ml/£8) for lightweight moisture, the Fuji Green Tea Body Sorbet (200ml/£8) which uses their innovative, cooling formula for fresh hydration (read more about the Body Sorbet's here) and of course, the Fuji Green Tea Body Butter (200ml/£13) for "24 hour, full-body hydration." (100ml/£16). "Refreshingly light and crisp, it’s a classic scent for daytime sophistication." It is described as being a "citrus-fresh" scent that includes top notes of green tea, mandarin, lemon and bergamot and a floral heart of violet, jasmine and camelia. As well as the individual products, there will also be a range of gifts at different price levels for those special occasions! 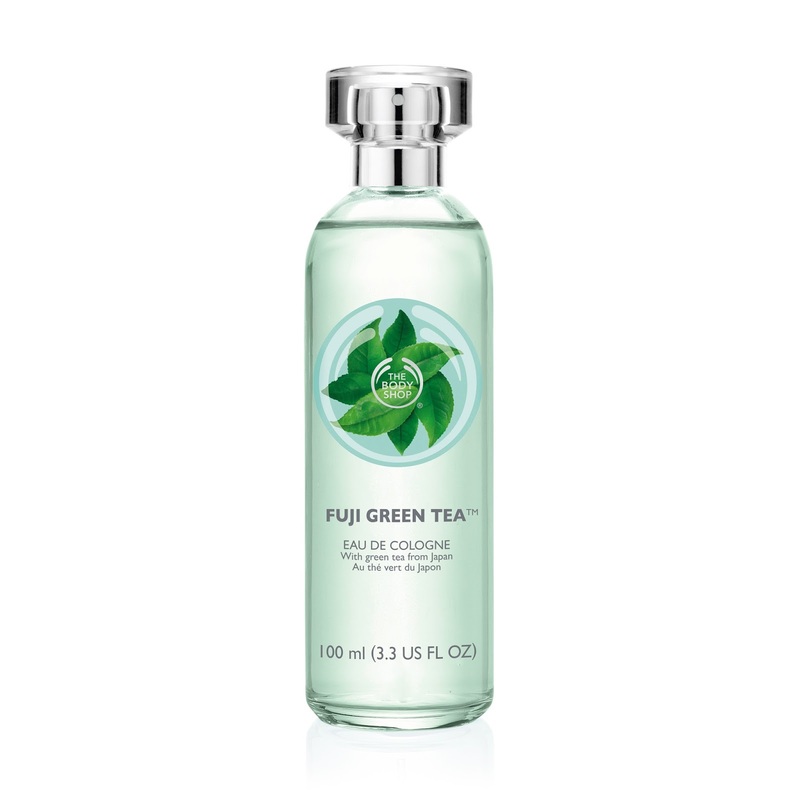 The Body Shop Fuji Green Tea range will be available in the UK from April 7th 2015 at The Body Shop. What are your thoughts on the new Fuji Green Tea range? Which products are you most excited to try? Photos used with permission from The Body Shop. I'm all for using green tea as part of my skincare regime! I usually make my own homemade green tea masque which works wonders for acne and pores. I'm really eXcited to try the green tea range from the body shop! In addition, matcha provides substantial quantities of potassium, fibers vitamin A and C, iron, protein, calcium and more.